Pirate Fun Day in Nursery! To start their learning on 'Treasure', the Ladybirds have enjoyed an exciting pirate fun day today. 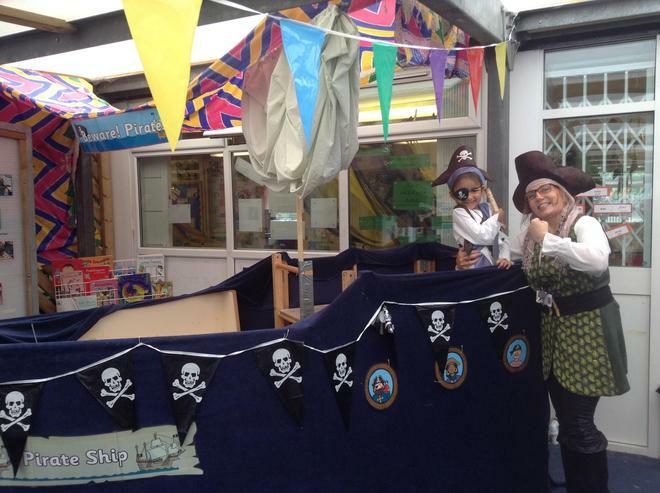 Here is a photo of Mrs Cahill (Captain No-Beard) and Safaa from the Yellow Ladybirds having fun on the Pirate ship. Shiver me timbers!